We have been carrying stuff since the beginning of time. Parts of the fitness industry are focusing on making strength training more about function than aesthetics. Having biceps that pop are useless when you can’t get out of bed because of a sore back. Thankfully, there is a growing interest in making something as simple as carrying a weight a cool exercise to do. It’s brilliant. Dan John, a strength coach, has popularized “loaded carries”. He believes that they should be part of any athletes training program. If they’re good for athletes they’re good or even great for the rest of us. A loaded carry is done by picking up a weighted object (dumbbell, kettlebell, barbell, jug of bleach) of your choice and walking with it. That’s the extent of it. I’m being serious here. Add some tunes that inspire you and you’re off to the races! This simple exercise works nearly every muscle in your body. It improves strength, stability and overall conditioning all at once. The muscles of the upper back and the shoulders are involved in holding the object. The other muscles of the core such as abs, back, glutes are involved in keeping you upright. It almost goes without saying that grip strength is also improved. There are a number of ways to do loaded carries. If this is something you like to incorporate into your routine I recommend using all of the variations listed below for the best results. 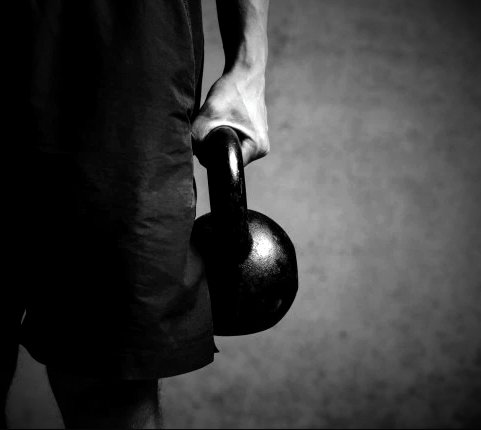 Farmer’s Walk: Grab a weight in each hand and walk. 1 Arm Farmer’s Walk: Just as it sounds – only one weight. This changes the muscles that are used to keep you upright and moving in a straight line. Waiter’s Walk: Hold the weights over your head (go for something really light to start). Try it with two weights first and then go one weight at a time version. As with any exercise start with a light weight and build gradually from that starting point. After safely picking up the weight establish strong posture and go. Walk either fast or slow for 20 to 30 seconds. The speed of your movement will affect your body in different ways. It’s good to do both. Loaded carries are something we do in our daily lives. You’re already good at this. Add some weight to the activity and you’ll get even better.